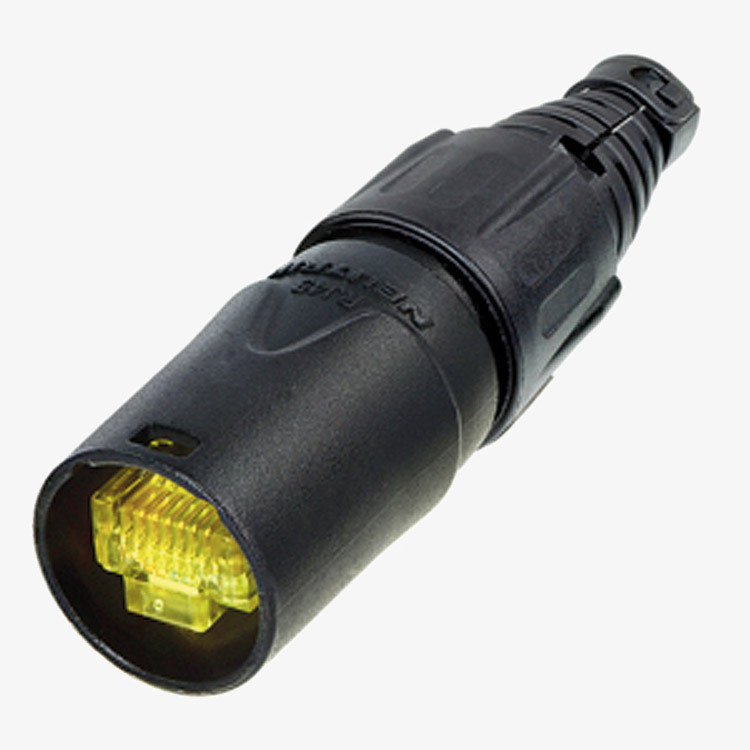 A range of ruggedized RJ45 cable connector carriers, using proven Neutrik style body-shells, cable clamping, and positive latching mechanisms. 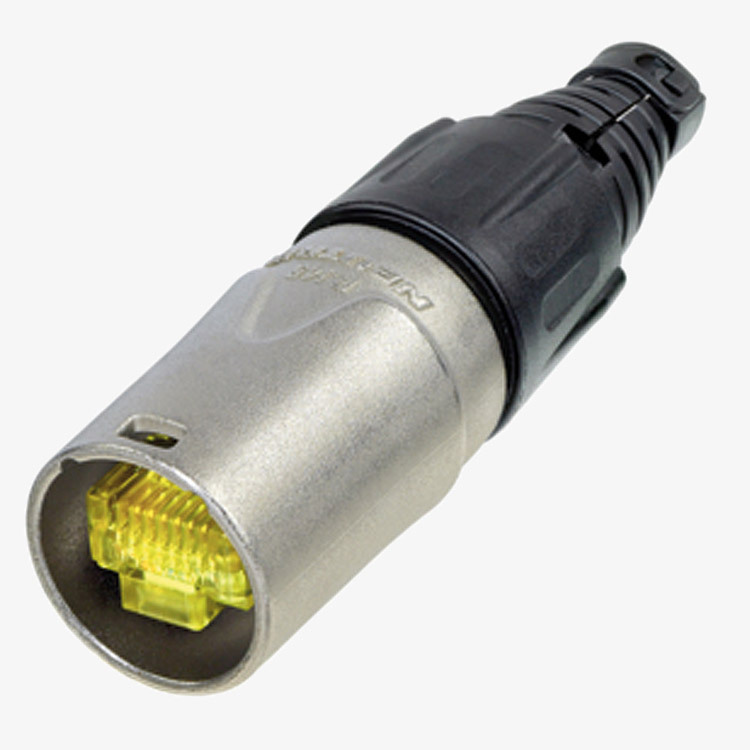 The NE8MX series is the successor to the NE8MC series, offering faster assembly due to an improved cable chuck, which now also holds the RJ45 in place, removing the need for two separate clamps. The Ethercon was designed for data transfer interconnections where a more robust connector is required than the basic RJ45, and are especially suitable for location and outdoor applications, stage, studio and other commercial and industrial environments. It utilises the robust Neutrik latch rather than the delicate plastic latch on the RJ45 (which is disabled in the Ethercon application). 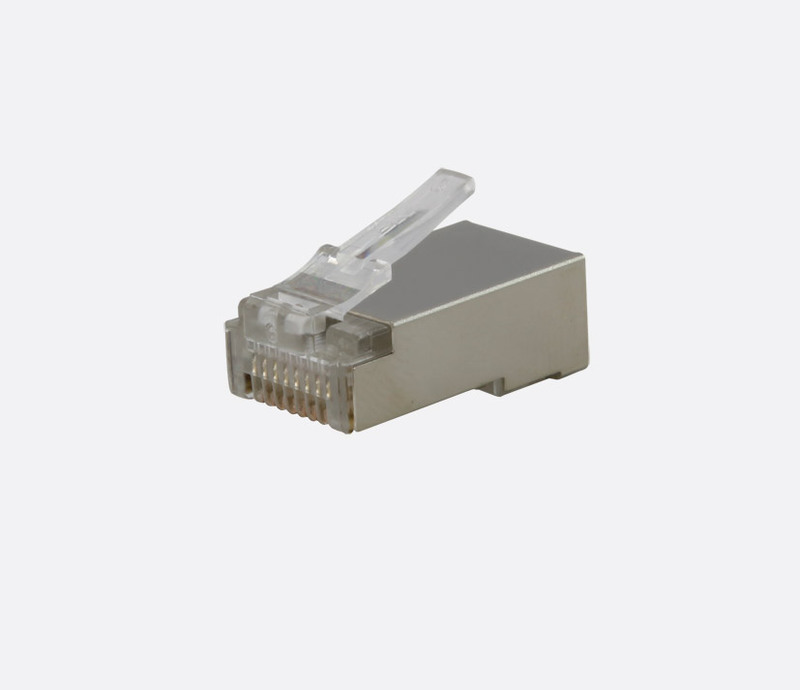 The cable connector carrier is a robust diecast shell that houses RJ45 plugs of all common types. Versions are available for both unterminated, and pre-terminated cables. Both types use the improved chuck design to secure the cable and hold the RJ45 in position. NE8MX types can be used on pre-terminated cables and are supplied with two strain relief clamps to suit cables up to 5mm or 8mm. 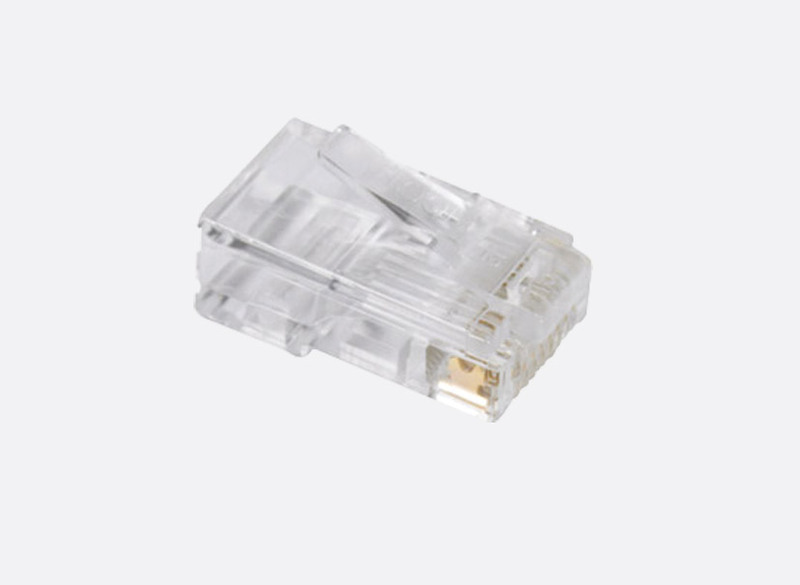 The strain relief and separate bushing can pass over the fitted RJ45. Sliding the RJ45, chuck and strain relief into the connector housing and tightening the bushing completes the assembly. 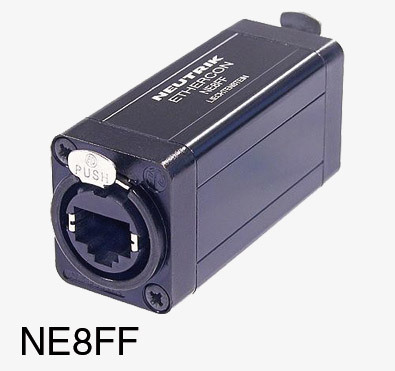 NE8MX-1 types use a bushing with integrated strain relief which slides over the cable before an RJ45 has been fitted, and screws on to the main connector shell once terminated, completing the assembly. Suitable for 3.5mm - 8.00 diameter cables. Assembly requires no special tools. Standard bushing colour is black. A selection of other colours are available as accessories, BSE for NE8MX types; BSX for NE8MX-1 types. 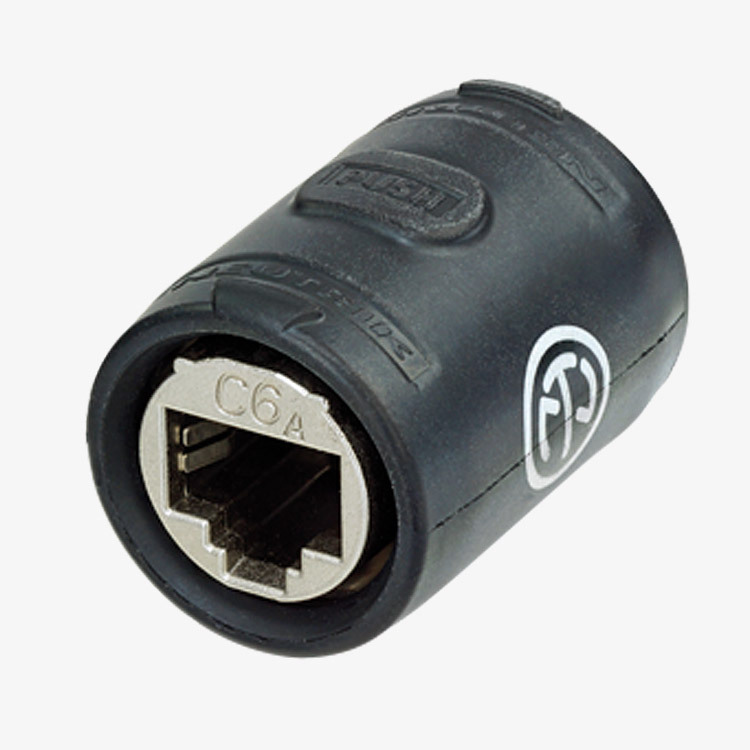 A flexible, deployable CAT5E cable for use with the Ethercon series is available, type CAT5E-F (stock code 31-850), connector type NE8MX-1 should be used with this cable. Note that the cable connector carrier is supplied WITHOUT an RJ45 plug, which should be ordered separately as required. 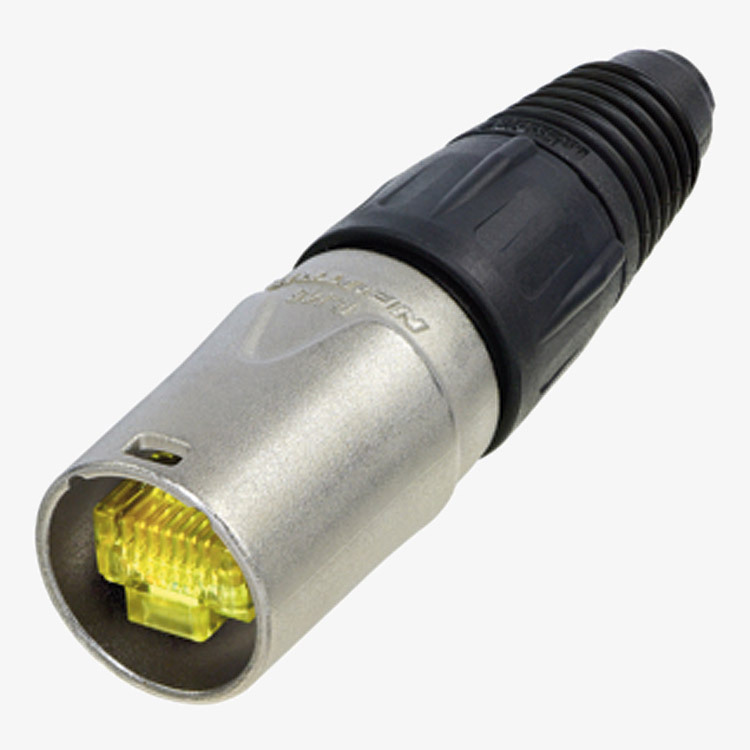 Stock codes are 46-605 for round cable (unshielded connector) or 46-606 for round cable (shielded connector) and 46-604 for flat cable (unshielded connector). These cable carriers do NOT intermate with Ethercon CAT6 panel connectors.